There are many conditions that can leave you with a chipped or cracked windshield, like debris or rocks flying from a truck, loose gravel being turned up from the car in front of you, hail, tree branches falling during extreme weather, even old and stiff wiper blades can damage your cars front window. 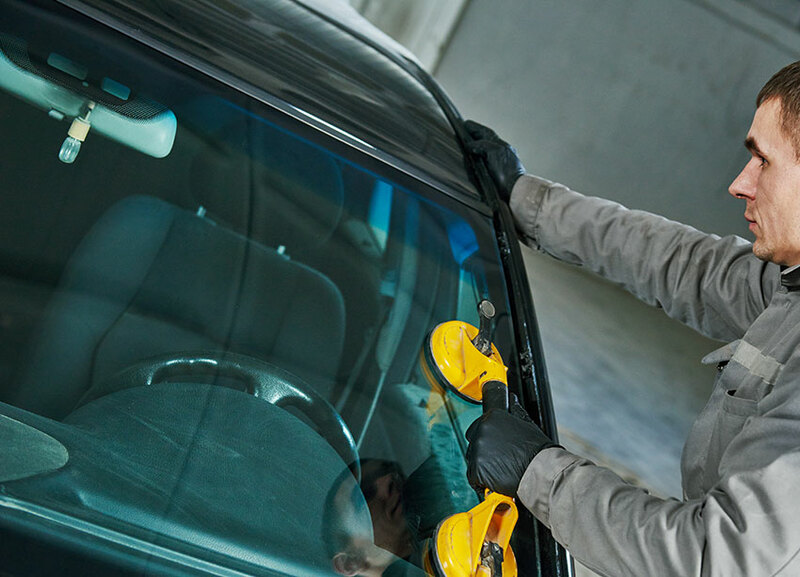 If you find yourself with a damaged windshield, no matter your vehicle’s make and model, Tucker’s Collision Center has professional on-site glass replacement services. We have a large inventory of quality in-stock glass specifically for your vehicle. As one of the leading windshield installers in the Las Vegas Valley area, our 20 years of experience means we deliver reliable service at a competitive price. When Should You Get Your Windshield Fixed? Whether you have a recent chip on your windshield that you would like to get fixed before it becomes a larger and more widespread issue, Tucker’s Collision Center can help with that too. It is always best to come in and get your chipped windshield looked at and repaired as soon as possible. Sometimes chips in your windshield can spread very quickly in extreme weather like the Las Vegas sun and heat beating down and making the smaller repair turn into a windshield replacement in no time. No need to worry though, whatever condition your car’s windshield is in we can assess the necessary repair or replacement and get it done quickly and the right way. The last thing you want is a chip or a crack interfering with your line of sight while driving. Operating your vehicle with a clear vision and windshield is one of the most important safety precautions you should take while on the road. Tucker’s Collision Center want to make sure you are driving safely every time. When you need your vehicle’s windshield replaced or repaired in the Las Vegas Valley area, there is no better place than Tucker’s Collision Center, we employ glass replacement specialists and use only the best, most advanced tools and equipment to make sure that the job is done right every time, with a strong and reliable bond. Come by Tucker’s Collision Center off of I-15, in between W Tropicana Ave and W Hacienda Ave on S Decatur Blvd to get your windshield looked at or get a free estimate online now. We look forward to taking care of your windshield issue and earning your business.